Belinda Bauer on Thursday 17 July 2014 at 9pm scooped the Theakstons Old Peculier Crime Novel of the Year Award for Rubbernecker. Celebrating its tenth year, the Award is considered one of the most coveted crime writing prizes in the country. The CWA 2010 Gold Dagger Award-winning author received glowing reviews for Rubbernecker featuring Patrick Fort, a medical student with Asperger’s Syndrome. 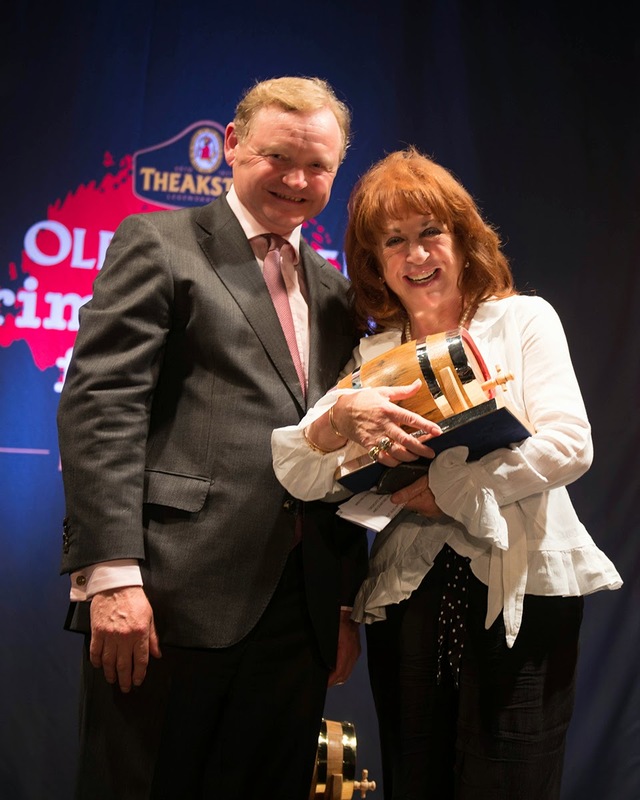 Belinda was presented the award by title sponsor Simon Theakston and broadcaster Mark Lawson at the opening night of the Theakstons Old Peculier Crime Writing Festival. The annual Festival, hosted in Harrogate, is the world’s biggest celebration of the genre. She beat off stiff competition from the shortlist of six, whittled down from a longlist of 18 titles published by British and Irish authors over the last year. The 2014 Award is run in partnership with T & R Theakston Ltd, WHSmith, and Radio Times. 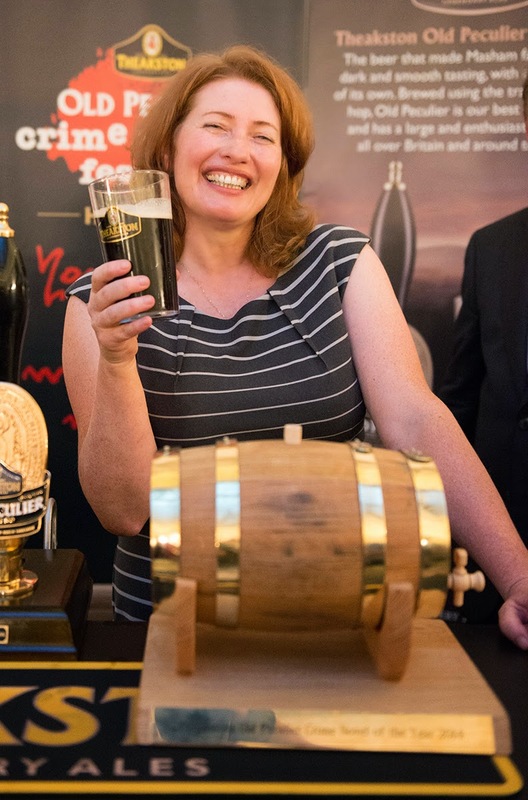 Belinda collected a £3,000 cash prize, as well as a handmade oak cask provided by Theakstons Old Peculier. 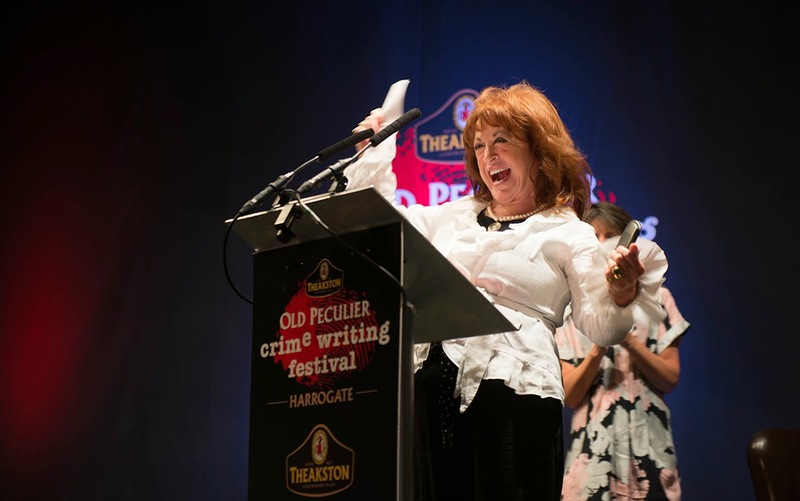 A special presentation was made to Lynda La Plante - the winner of the fifth Theakstons Old Peculier Outstanding Contribution to Crime Fiction Award. La Plante joins Ruth Rendell, PD James, Colin Dexter and Reginald Hill as recipients of the Award. 17th July: winner announced at Award ceremony on Opening Night of Theakstons Old Peculier Crime Writing Festival, Harrogate (8pm, Thu 17 July) at the Old Swan Hotel. The winner was decided by a panel of Judges: Executive Director of T&R Theakston Ltd. and title sponsor Simon Theakston, Festival Chair and author, Steve Mosby, Radio Times’ TV Editor, Alison Graham, and Head of Fiction at WHSmith, Dave Swillman, as well as the public vote. This first ever Festival was in 2003; the Awards are now in their tenth year.